Successfully saved Creamy Garlic Mushrooms and Bacon to your Calendar. You can also save the ingredients to your Grocery List. 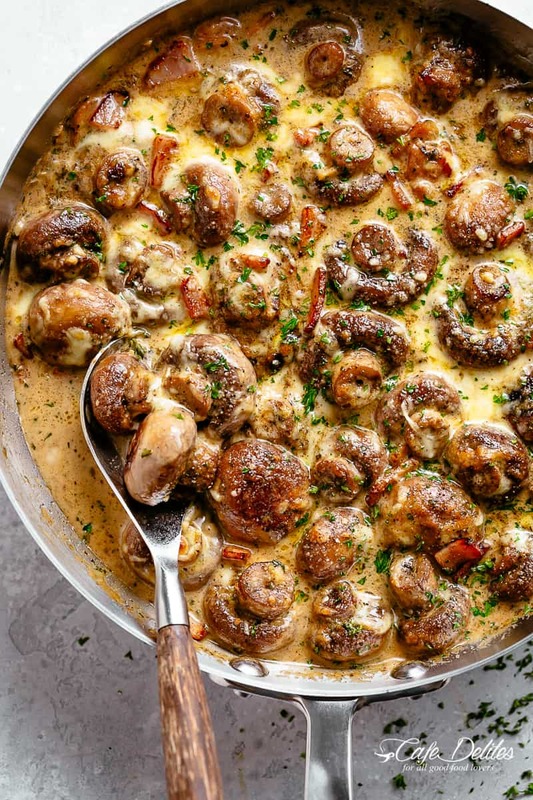 Creamy Garlic Mushrooms and bacon in a mouthwatering cheesy sauce as a side or main. The best Low Carb or Keto Mushroom Recipe!